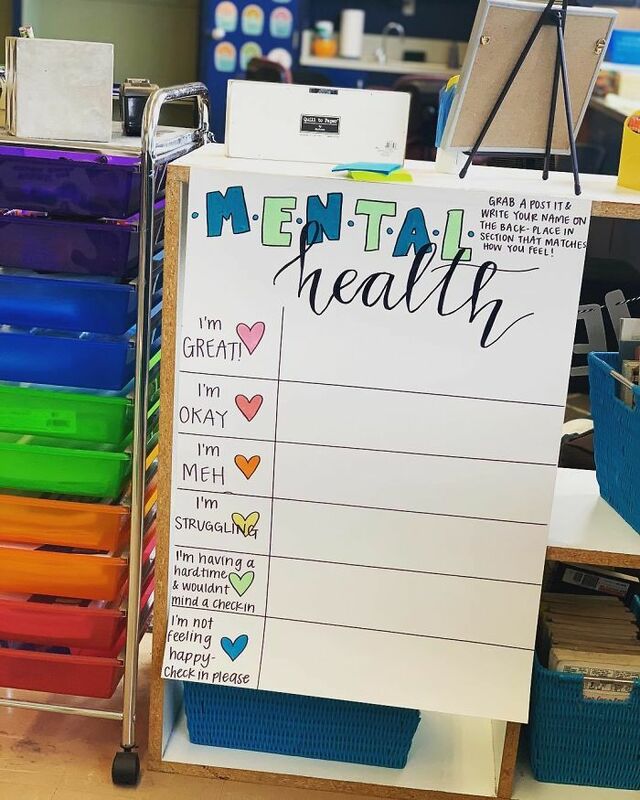 More and more people are using whatever platform they have to speak out about mental health awareness, whether they are celebrities or people with a large Twitter following – this kind of visibility is important to people who have felt alone. 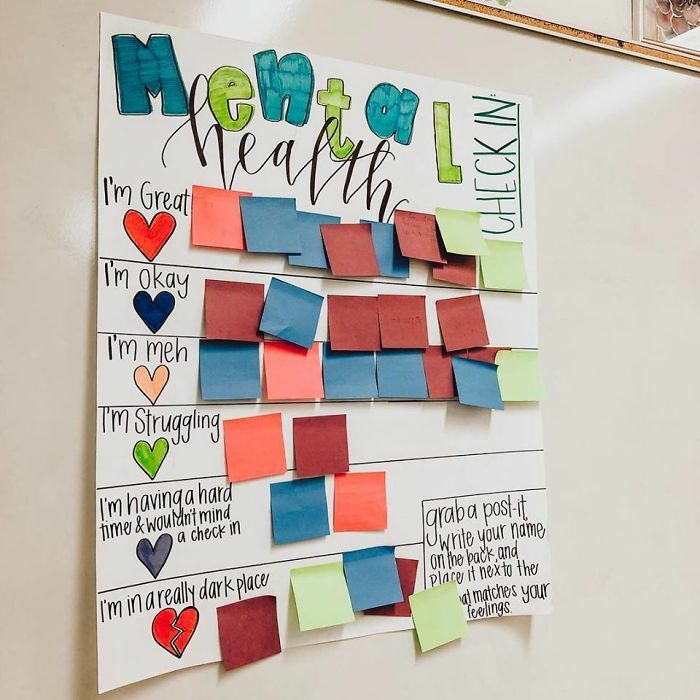 English special education teacher Erin Castillo decided to use her classroom as her platform to educate and support her students about their mental health with a creative daily exercise. 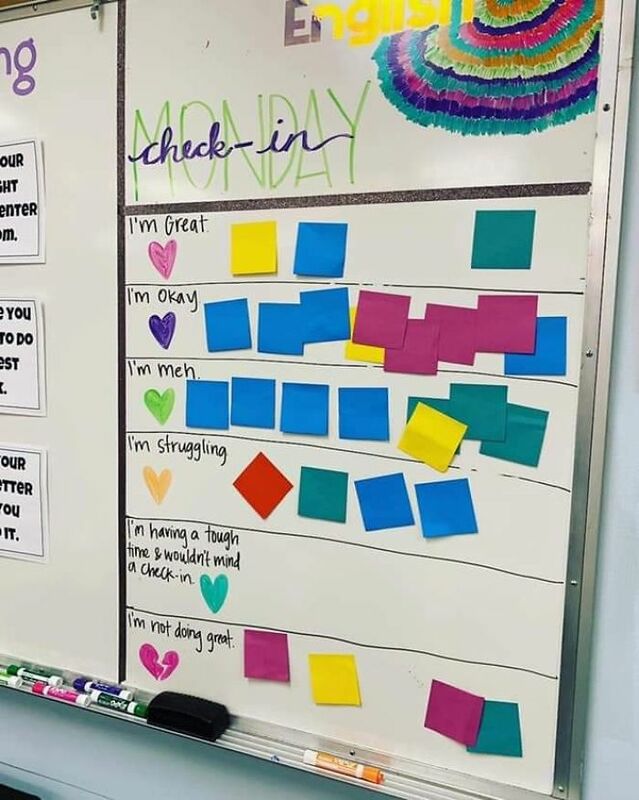 After several students attempted suicide in the past five years of her teaching, the San Francisco Bay Area educator found an innovative way to check on her pupils – with a check-in chart. I was able to start some check ins today, and holy cow these kids. I love them. My heart hurts for them. 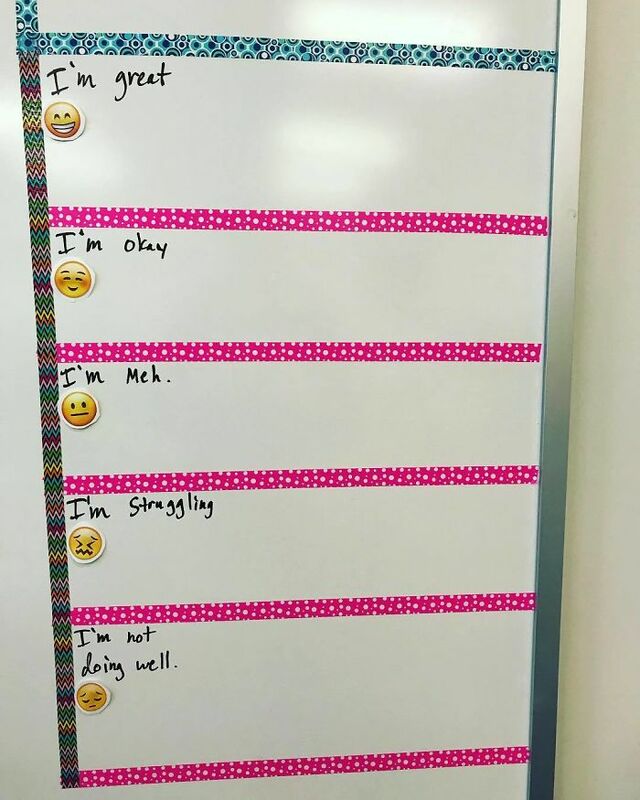 High school is rough sometimes, but I was happy that a few were given a safe space to vent and work through some feelings. If I’ve learned anything this year so far, it’s that life is much harder at 9-10 years old than I could ever possibly remember. 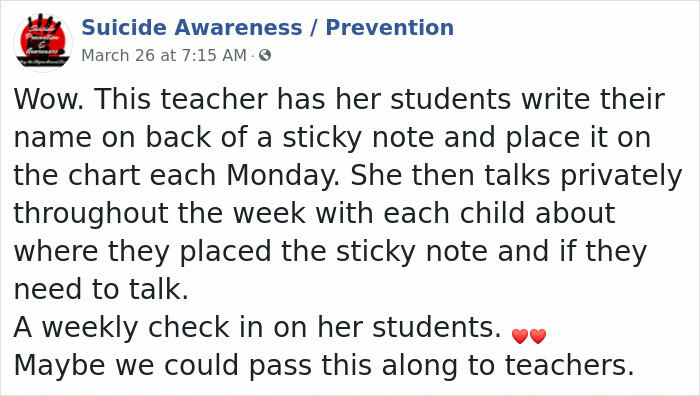 So thankful for @makingastatementinsped and her brilliant ideas, looking forward to implementing this in the classroom tomorrow. 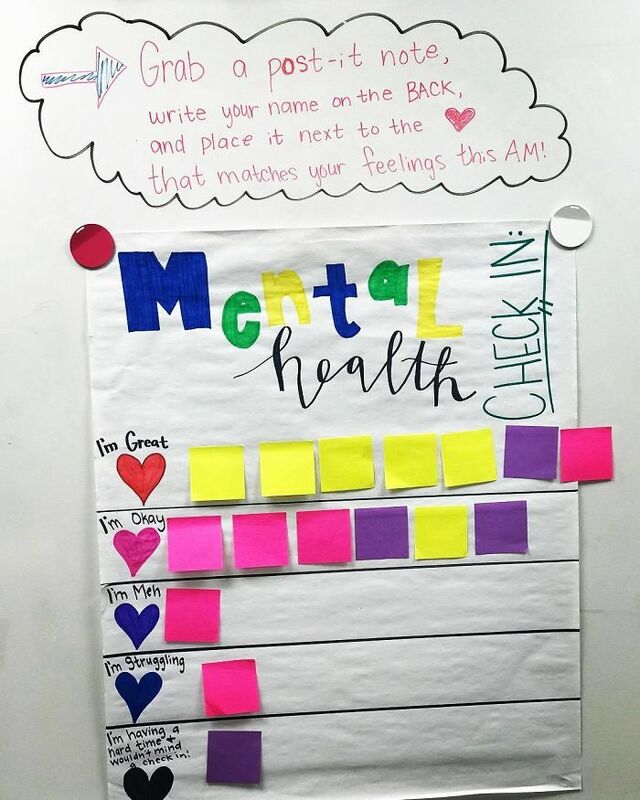 Took a page out of @makingastatementinsped book and recreated her Mental Heath Check in poster ..It is SO important to have students become aware of their own mental health, and for teachers to create a classroom community where students feel safe to express their own feelings and realize they are not alone. Looking forward to conducting more check ins in the future! 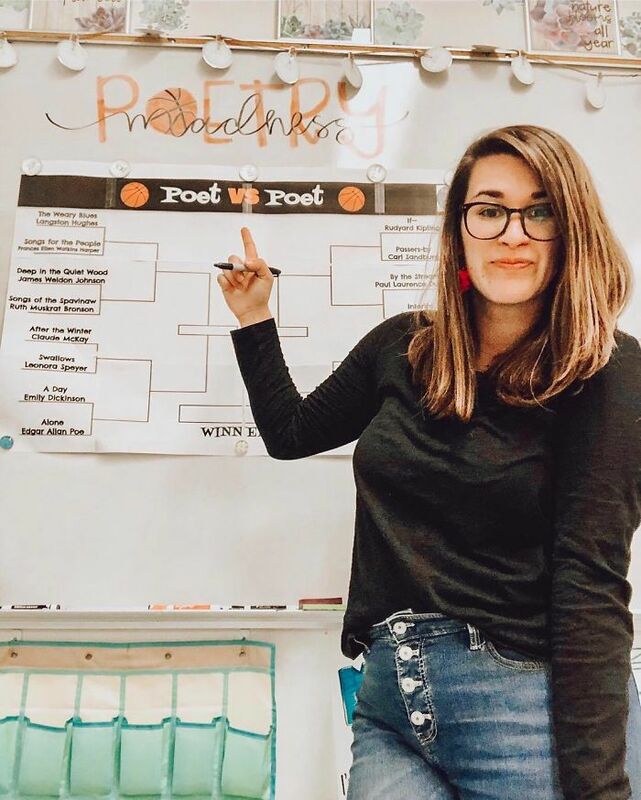 Also, Erin has a free download that includes set of instructions/posters to use in your own classroom, too- go snag those ASAP! 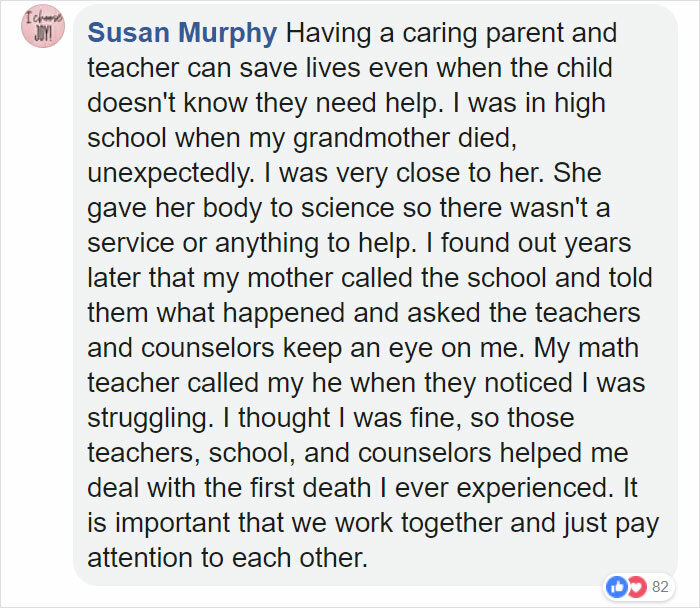 The response from other teachers was unexpected and overwhelming for Castillo, “I just started crying,” she said. 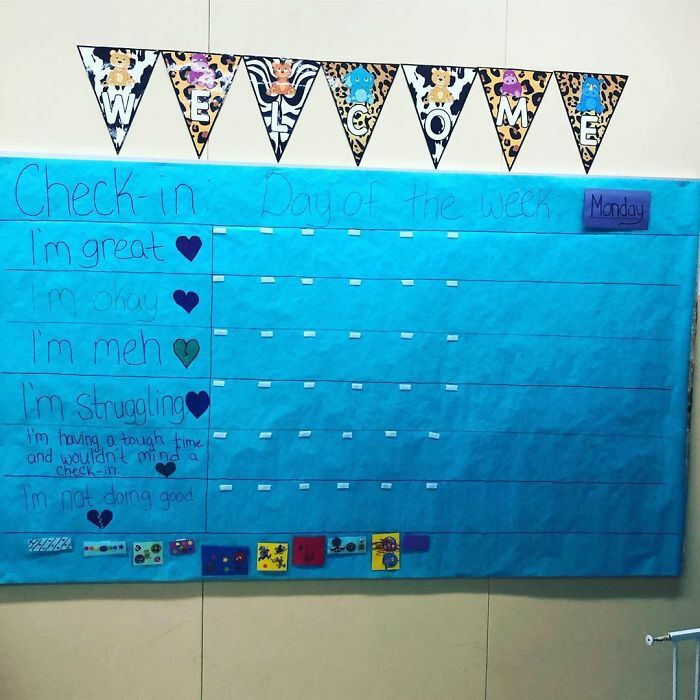 “My husband asked me why I was crying, and I said ‘Because kids are being saved everywhere.” She has since created a free digital resource for other teachers who want to introduce the chart into their classrooms.